After one year: doing nothing makes YOU responsible! The "internet world" demonstrated in an incredible way the power and influence that it can have through the "Ice Bucket Challenge". The "Ice Bucket Challenge" was started as a local initiative by the ALS Association based in the USA.to raise funds for the ALS Association to help those affected with the terrible disease Amyotrophic Lateral Sclerosis (ALS) (often referred to as "Lou Gehrig's Disease") in the USA - but it soon became a global challenge and fund raiser to help many other worthy causes as well as the initial charity. An idea that went from computer to smartphone through E-mail to facebook and, with word of mouth, eventually achieved a status that meant that the "Ice Bucket Challenge" was "the" catchword and "the" slogan that went around the world and attracted the publicity and participation of the so-called stars as well as corporations and, most importantly of all, the general public. Millions, perhaps even billions of $$$ were raised for many good and deserving causes. It did not matter that very few people really understood or knew about the reason for the "Ice Bucket Challenge" – it was out there and it needed to be done! Using the "Ice Bucket Challenge" as an example, we have made it our goal to raise awareness and bring issues and events to the attention of the public that have either never been sufficiently considered or given attention to or that have incomprehensibly disappeared from the media and the observation of the public and have, in effect, been forgotten. With the help of musicians from all over the world, we want to help to get these issues and events back where they belong – in the consciousness and focus of the people. It really does not matter if it is school choirs, street musicians, bar pianists, bathtub singers, karaoke performers, rock or pop stars – everyone can do their bit and contribute something to send this campaign around the world – make your own video clip and challenge at least 3 of your friends to do the same! 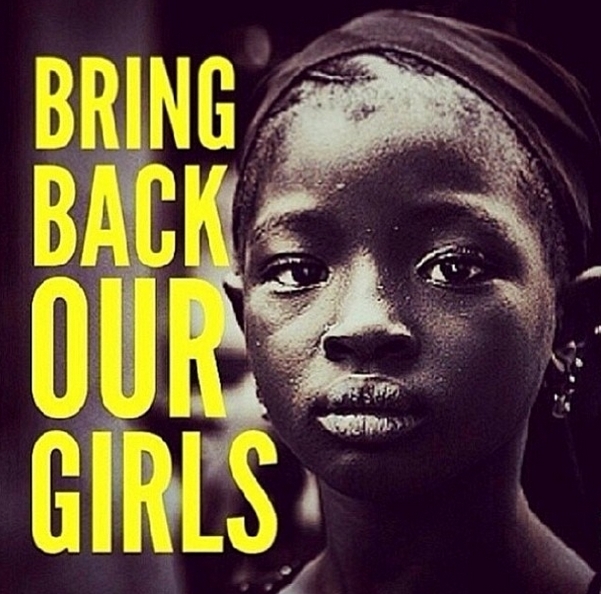 They are still being held as hostages by the terrorist group "Boko Haram". This terrorist group has repeatedly shown in recent years that they know and have no qualms or scruples: Their fighters have attacked churches, raided and ambushed schools, sent suicide bombers on to packed commuter buses and massacred the residents of entire villages. Several thousand people have been killed since 2010. However, the activities of "Boko Haram" have only come under the international spotlight and attracted significant attention since the kidnapping of the more than 200 girls in April 2014. With the online campaign #BringBackOurGirls, tens of thousands are campaigning for the release of the school girls, ranging from the First Lady of the USA to school children in most parts of the world. In Abuja, the capital of Nigeria, for some months hundreds of people have been taking to the streets daily. They pray for the hostages – and criticise the inactivity of the government and the army.